Fall and winter holidays are just around the corner and now is the best time to perform some routine maintenance on your HVAC system. In this post, you will learn how to prepare your air conditioning unit for hibernation and some important tips for waking up your heating unit without any issues. You wouldn’t want to deal with a broken furnace right in the middle of winter. According to the U.S. Department of Energy, heating and cooling accounts for about 50% of the total energy use in a regular home, which makes it the biggest energy expense that homeowners have to cover. By putting in some effort into ensuring your HVAC system is working correctly, you’ll be able to decrease the energy consumption of your HVAC system. It is important to change from cooling to heating as smoothly as you can. Here are some HVAC preventive maintenance tips for fall and winter. 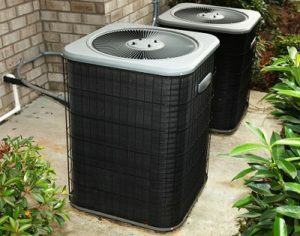 You need to think about the age of your Florence HVAC unit and your current energy bills before anything else. If your unit is more than 10 years old, its efficiency is only within 40%-60%. If your unit is at its last few years, you have to consider getting a replacement. These days, you fill find gas furnaces in the market and many of them feature energy ratings that are as high as 97%. Filthy HVAC filters limit the airflow and decreases the overall efficiency of your HVAC system. In case you haven’t cleaned or replaced your system’s air filters for a while, now is the best time to do it. You have to do this regularly. To be on the safe side, you need to check your air filter every month to determine if it clogged or filthy. You also have to refer to the owner’s manual to know the best air filter you need to use in your HVAC system. Be sure to go with an air filter that comes with MERV rating of at least 7. You also have to keep a lot of backups so there will be no need for you to run to the store every month. Walk around your home and check if your return and supply vents as well as registers are all clear and clean. They must not be blocked or closed off in any way. When you’re checking to ensure there is nothing that is obstructing the vents, you have to spend some time cleaning them and remove any dust or dirt that may have accumulated surrounding the area. Having clean vents will help prevent dust and dirt from infiltrating your Florence HVAC system. When you begin to change from cooling to heating, you need to reprogram the thermostat. You will be able to save lots of cash with a programmable or smart thermostat. All you need to make sure is to set it correctly. If you are not home, it is best to lower the thermostat temperature. This will help you cut costs. If you need professional help in repairing or maintaining your HVAC unit, call Florence HVAC Experts now.